While few remember Tab Smith today, he was flying high with success in the mid 50s, perhaps United Records’ (Chicago) answer to Earl Bostic. This long player houses most of the instrumental sides Tab recorded for United during the mid 50s and provides a window to a world now mostly forgotten. And that’s unfortunate because artists such as Tab helped bridge the jazz of earlier decades to the music the masses would embrace in the decades that followed. 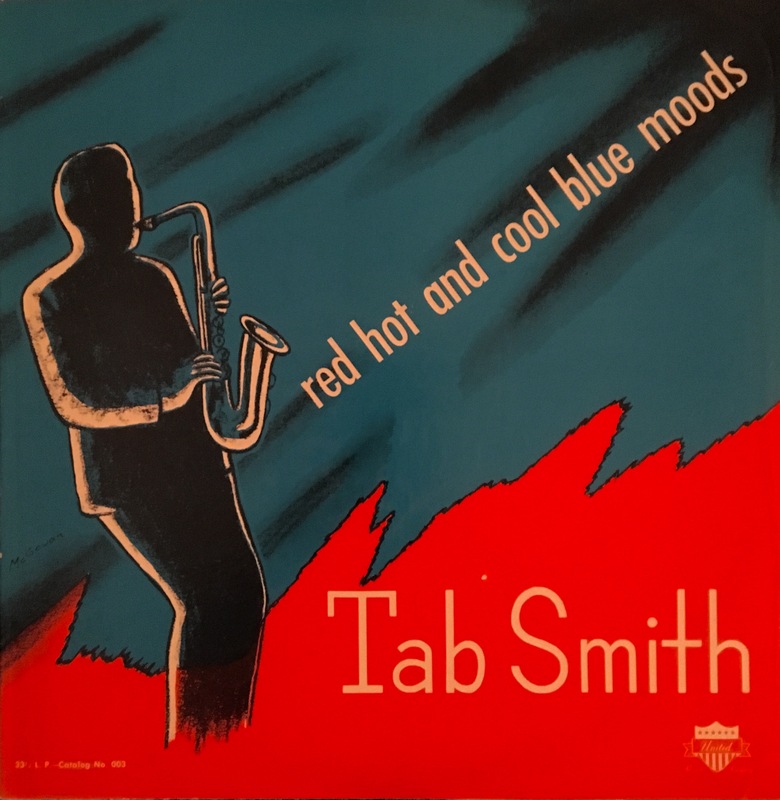 On the other hand, this isn’t part of the wild R&B of this era that clearly welcomes in rock and roll, and it’s not cutting edge jazz, so perhaps it’s not surprising that Tab’s music has been mostly forgotten. It’s not proto-this or proto-that, and that’s often all the masses find interest in exploring. But this is enjoyable music, earthy yet urban, full of tone and focused on feeling rather than showing off. While this lacks the abandonment of much of the R&B from this era, this has more depth than much of the music of the 50s, without ever getting too serious like the innovative jazz of this decade. It’s mood music with some meat. 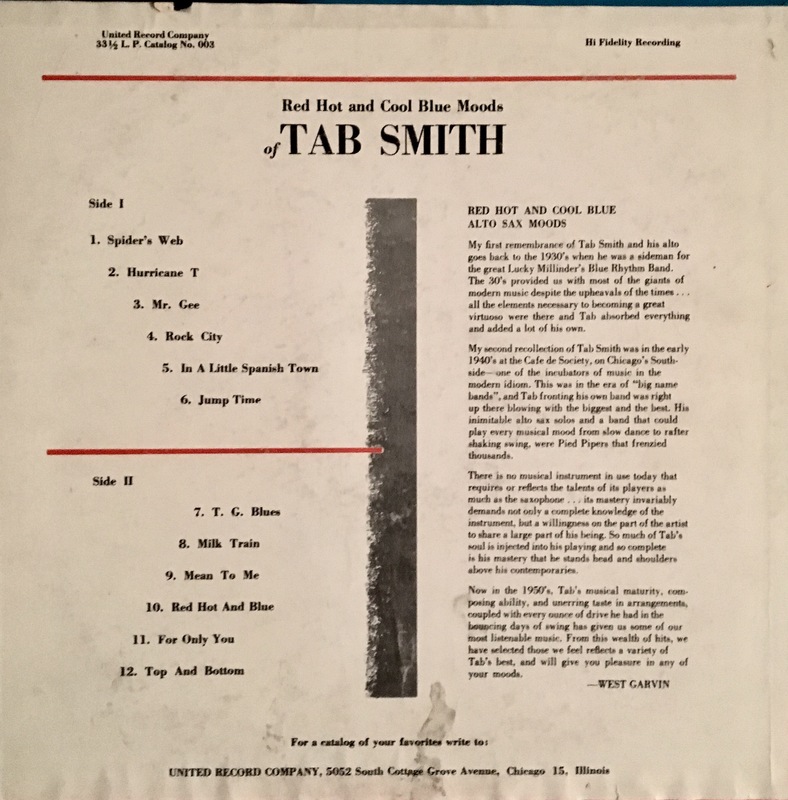 There’s a sadness that runs through even the “red hot” numbers, and it’s sad that black artists such as Tab Smith aren’t remembered more.